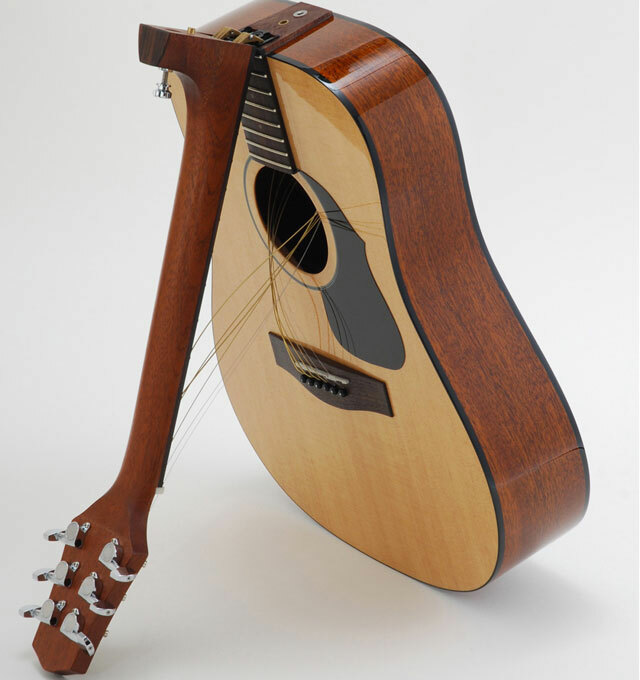 California-based company Voyage-Air have designed a line of travel guitars made to fold forward at the base of its neck for ease of travel. The guitars come in both acoustic and electric versions and include their own specially designed carrying case. Take a look at how the acoustic Voyage-Air guitar works in this demo video. CNET recently reviewed the Transit model in detail.